Brave the cold and attend Burneart’s Mitten Fest! Indulge in local Milwaukee food, drinks, and art, while rocking out to a few very talented local artists. Did we mention the festival benefits Milwaukee’s own Hunger Task Force? Kick off those winter boots and lace up your skates for a day at Red Arrow Park’s Slice of Ice! Don’t forget to stop inside and warm up with a hot drink from Starbucks before your journey home. 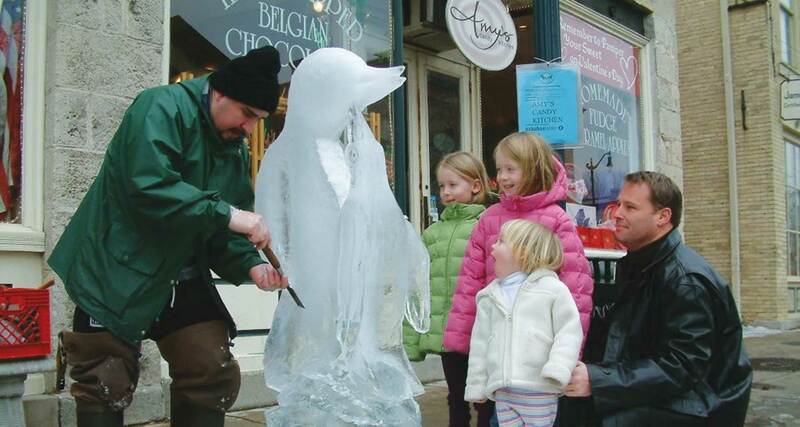 Enjoy all things outdoors at this year’s Cedarburg Winter Festival! Watch local artists carve ice sculptures, put your taste buds to the test at the chili cookoff, or play a snowy game of kickball in this cozy, historic town. Take in Milwaukee’s most breathtaking views on an elegant horse drawn carriage ride. Perfect for an adventurous evening downtown, or for a romantic city stroll. Celebrate one of America’s biggest holidays Milwaukee Style at the 2018 Shamrock Shuffle! Sport your lucky green tee and join the community in raising funds for the Special Olympics and the Hunger Task Force.